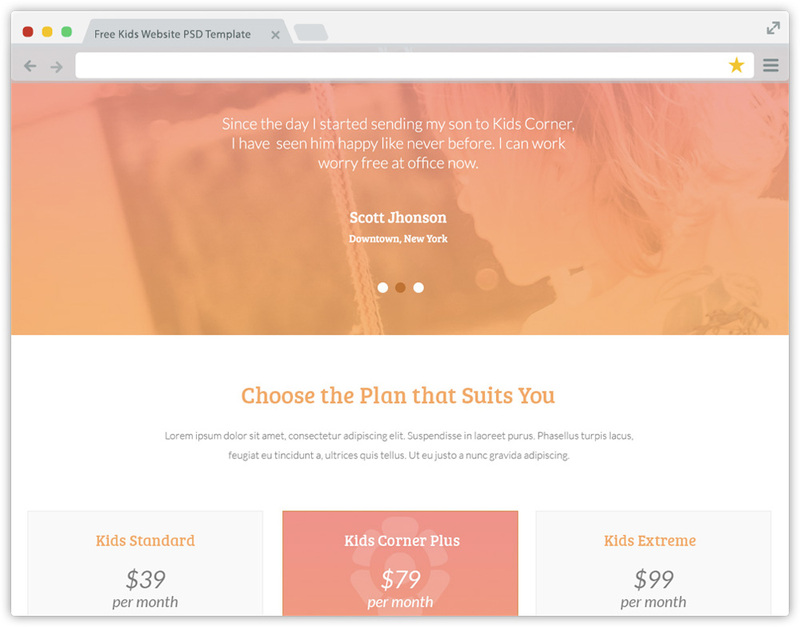 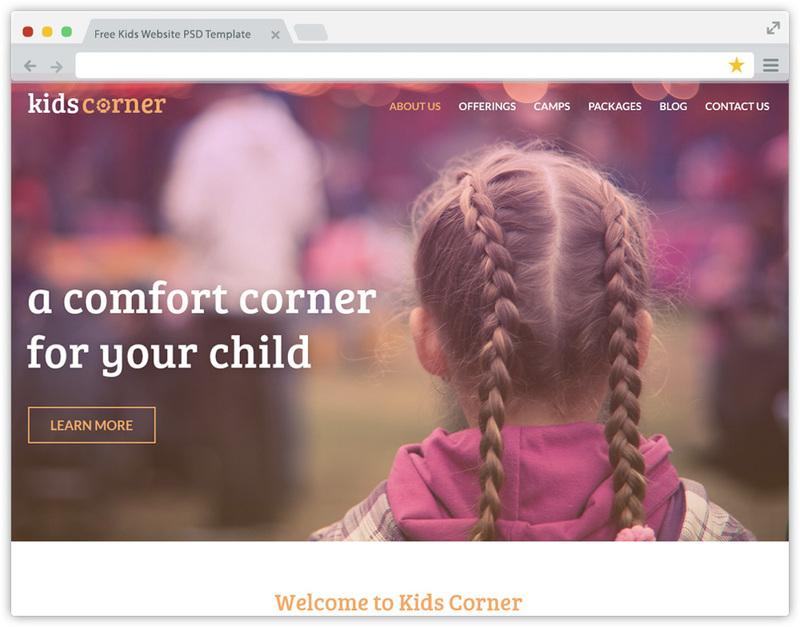 Kids Corner v2 is a new version of the popular Kids Corner PSD Template. 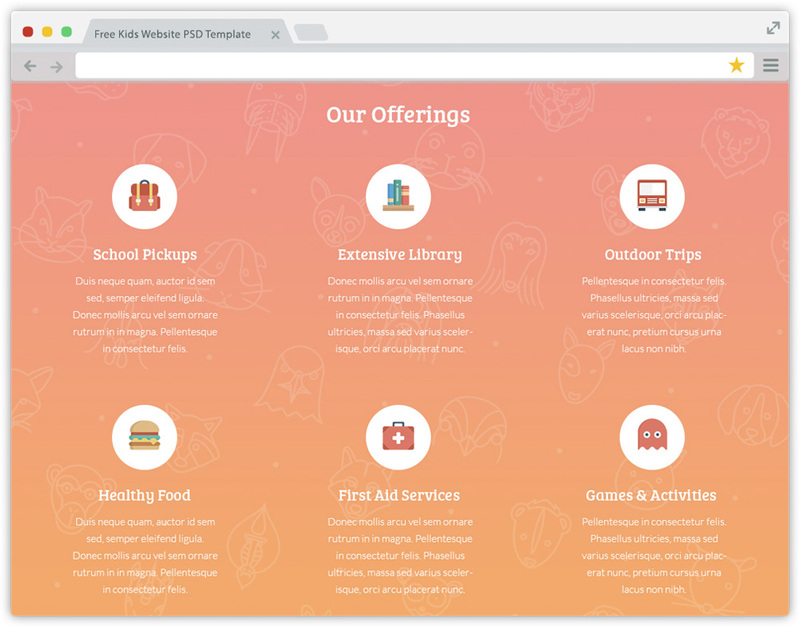 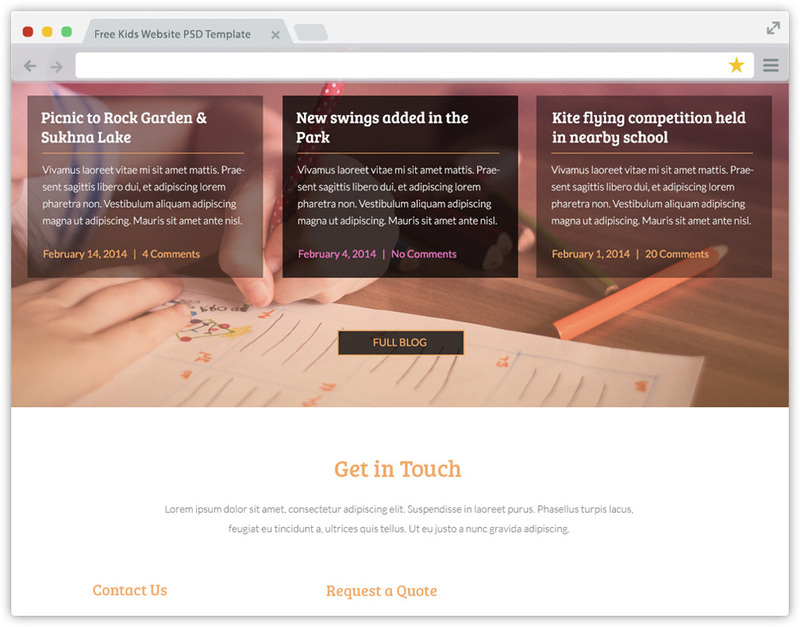 Same as the previous version, this is also a Free One Page Website PSD Template. 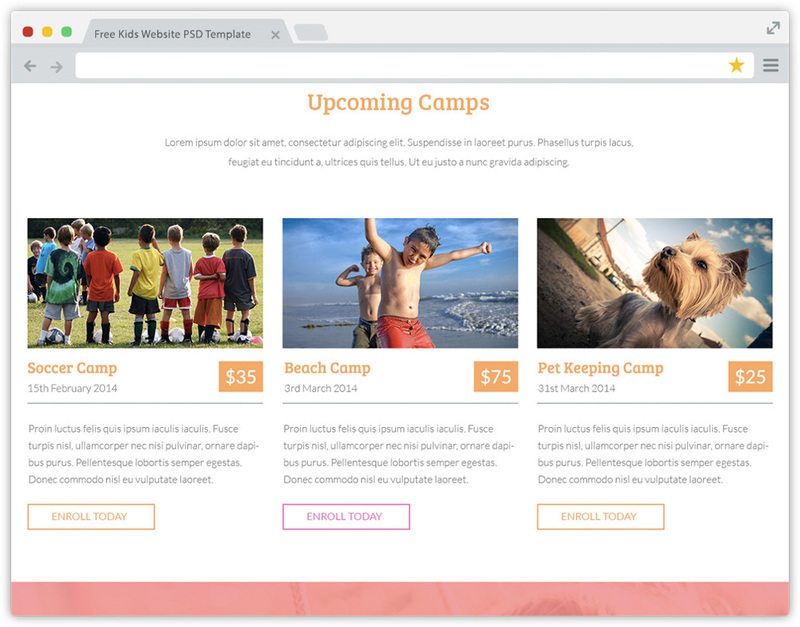 This version of template makes use of more vibrant colors and the latest web design trend of gradients in design.